Clear polythene gripseal bags with a sliding gripseal bar along the top to close the bags. 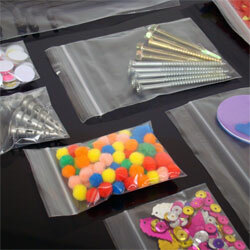 All sizes of gripseal bags displayed are stock bags. 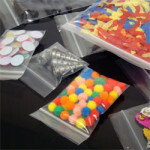 Printed gripseal bags available from 10000 bags subject to sight of design and size of bag. GL17 Gripseal Bags Bag size 15x20" Boxed 1000 bags Clear polythene bags ..
GL16 Gripseal Bags Bag size 13x18" Boxed 1000 bags Clear polythene bags ..
GL15 Gripseal Bags Bag size 11x16" Boxed 1000 bags Clear polythene bags ..
GL14 Gripseal Bags Bag size10x14" Boxed 1000 bags Clear polythene bags ..
GL12 Gripseal Bags Bag size 8x11" Boxed 1000 bags Clear polythene bags ..
GL11 Gripseal Bags Bag size 6x9" Boxed 1000 bags Clear polythene bags S..
GLA4 Gripseal Bags Bag size 9x12" Boxed 1000 bags Clear polythene bags ..
GL9 Gripseal Bags Bag size 5x7.5" Boxed 1000 bags Clear polythene bags ..
GL8 Gripseal Bags Bag size 3x7.5" Boxed 1000 bags Clear polythene bags ..
GL7 Gripseal Bags Bag size 5.5x5.5" Boxed 1000 bags Clear polythene bags ..
GL6 Gripseal Bags Bag size 4x5.5" Boxed 1000 bags Clear polythene bags ..
GL5 Gripseal Bags Bag size 4.5x4.5" Boxed 1000 bags Clear polythene bags ..
GL4 Gripseal Bags Bag size 3.5x4.5" Boxed 1000 bags Clear polythene bags ..
GL3 Gripseal Bags Bag size 3x3.25" Boxed 1000 bags Clear polythene bags ..
GL2 Gripseal Bags Bag size 2.25x3" Boxed 1000 bags Clear polythene bags ..
GL1 Gripseal Bags Bag size 2.25x2.25" Boxed 1000 bags Clear polythene bags ..
GL0 Gripseal Bags Bag size 1.5x2.5" Boxed 1000 bags Clear polythene bags ..
GL10 Gripseal Bags Bag size 7.5x7.5" Boxed 1000 bags Clear polythene bags ..